Elegant and well-balanced. Tropical notes on the nose and on the subtle but well structured palate. Light straw in color with a fresh green hue. Citrus, stone fruit and tropical notes show on the nose that follows through on the subtle but well-structured palate. Elegant and well-balanced, with the potential to develop beautifully in the bottle. Clones used were Davis 3 and Davis 5 on Richter 110. The average yield was 4.2 tons/ha. After the hand-picked grapes were pressed whole bunch. The juice was left overnight for a course setting. Racked to barrel, and left to ferment wild. The wine spent 11 months on the lees in a combination of 225L and 500L French oak barrels of which 30% were new. Battonage was only done for the first 6 weeks after fermentation. Some of the barrels went through malolactic fermentation, but it was not monitored. Delheim Wine Estate is situated in the Simonsberg Ward of Stellenbosch in South Africa, with views that are breathtaking all year round. Over the years, Delheim became a microcosm of Spatz's visionary work in the greater Stellenbosch community and the Cape winelands as a whole. The indomitable Spatz was the unwitting pioneer of public wine tasting events personally hosted by winemakers outside the winelands. In 1962 he embarked upon his first 'tasting tour', ferrying himself and his wines by car, train and plane to East London, Port Elizabeth and Johannesburg, the first producer to do so. The ultimate wine industry recognition of Michael 'Spatz' Sperling's extraordinary contribution to Cape wine came in 2009, the year in which the industry celebrated 350 years of winemaking. He was one the pioneers honoured with the 350 Celebration Scroll. Conservation : By sharing the land amongst all the stakeholders and training people to understand and appreciate - as well as work on - the land, Delheim is fostering a system that yields a livelihood for everyone; one that will continue to do so for future generations. 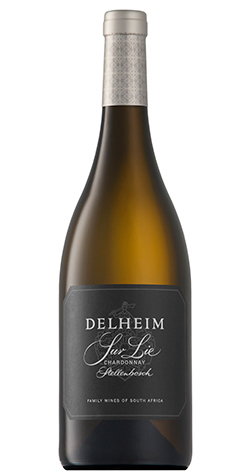 With 375 hectares of land situated in the beautiful Simonsberg Ward of Stellenbosch, Delheim is a keen exponent of the wine industry’s movement to conserve the region.